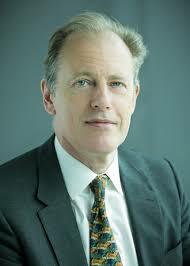 Andrew Gilmour of the United Kingdom is the UN Assistant Secretary-General for Human Rights heading OHCHRs Office in New York. He will discuss global trends against human rights with specific comment on the plight of the Rohingya (he is newly returned from Coxs Bazar), the situation in Yemen, and the treatment of the Yazidis by ISIS in northern Iraq. He is the senior UN official concerned with tackling intimidation and reprisals against those cooperating with the UN on human rights. In his previous position, as Director for Political, Peacekeeping, Humanitarian and Human Rights affairs in the Executive Office of the Secretary-General, Mr. Gilmour was responsible for spearheading the implementation of the Human Rights Up Front initiative. Since joining the United Nations in 1989, he has held a variety of positions including in Afghanistan-Pakistan, Kosovo, the Middle East and West Africa. He has also served as Deputy Special Representative of the Secretary-General in Iraq, and in South Sudan and was the Representative of the Secretary-General in Belgrade.